A senior police officer who arrested one of the MDC Alliance kingpins, Tendai Biti, yesterday told the court to throw out an application challenging his arrest which he insisted was lawful. The State's star witness chief superintendent Jealous Nyabasa, however, admitted that he ignored a Zambian High Court order which indicated that Biti was due to appear in a Zambian court on the day he arrested him. "The accused is a Zimbabwean citizen and he was lawfully arrested and lawfully brought before the court within 48 hours of having been arrested," said Nyabasa. Nyabasa said Biti was arrested on Zimbabwean soil by local police officers after he had been brought by immigration officials, thus disputing any violation of international law. "I arrested him when he was on Zimbabwean soil," adding that police had acted legally because there was a warrant of arrest authorising Biti's arrest. "He was aware that he was wanted by police because between August 5 and 7 his lawyers came to CID Law and Order. "The accused's lawyers also came three times and promised us that they will bring their client to the police but they did not. I looked forward to the lawyers coming with their client and when they did not, I felt let down because I did not expect such conduct from legal practitioners," Nyabasa told the court. 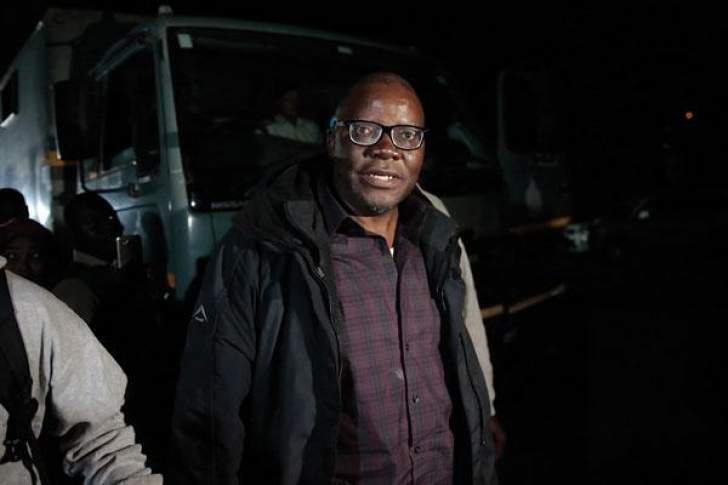 Biti is challenging the authority of Zimbabwean courts to prosecute him, arguing that he was "abducted" from the Zambian government, which denied him asylum last week. The former Finance minister in the stability-inducing inclusive government has been charged for contravening the Electoral Act by prematurely announcing the election results and allegedly inciting the violence that rocked Harare on August 1. On August 1, deadly violence broke out in Harare's central business district (CBD), following clashes between opposition supporters and security agents. At least six people subsequently died when the army, which had apparently been called in to assist in managing the situation, used live ammunition to break the ugly protests. Several opposition officials, including Biti, were forced to flee what they alleged was State-sponsored crackdown in the aftermath of the ugly protests. He tried to seek asylum in Zambia which handed him over to the Zimbabwean authorities who swiftly arrested him resulting his court appearance last week. During his appearance in court last week, Biti had told the court that after placing his appeal before the authorities in Zambia he was issued with an order to appear before Justice J Siyalonga on August 8 and present his petition. Biti argued that after being put in the custody of Zambian immigration officials, he was later moved to Chirundu Police Station where three soldiers wearing balaclavas forced him out before he was attacked by a huge mob. "I produced the order to show them that they were arresting me illegally. When I got out, Zimbabwean cars surrounded the place. They tried to manhandle me, they were now seven and there was commotion. "It was a tug-of-war, the unidentified people on the other end, me in the middle and some ladies, on the other hand, pulling me. The Zambia authorities came and told those people that what they were doing was illegal but I was still abducted and brought back to Zimbabwe. "No court in Zimbabwe should have jurisdiction over me and I should be before the Zambian court. I am facing political charges arising out of the mere fact that we took a different position against the powers-that-be in our country," Biti testified last week.